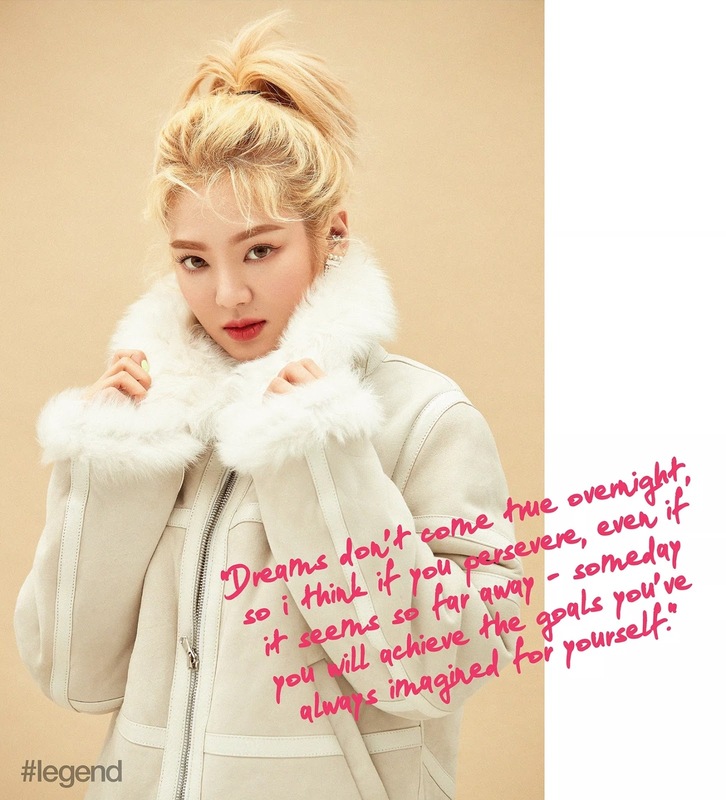 [Hashtag Legend] Discover our new digital exclusive cover with Girls Generation star Hyoyeon - as she speaks on her new solo career as DJ HYO. 이번 디지털 커버에서 해쉬태그 레전드 X 효연의 콜라보레이션과 최근 디제이로서 새로운 길을 걷고 있는 또 다른 그녀를 만나보실 수 있습니다. There seems to be countless titles to address Hyo-yeon Kim. She was part of girl group SNSD-Girl’s Generation, one of the first K-pop groups to gain global recognition after their debut in 2007. With their international tours having the same success as the Spice Girls, TLC, and Destiny’s Child, the band became a pop culture phenomenon and one of the earliest Asian female representatives to be performing on the world stage. As each member has decided to explore their own paths and they are now thriving as solo artists in their respective fields. K-pop artist, DJ, style icon and published author, Kim talks about her new passion and the sides of her that we don’t see on-screen. She came on set with a bubbly energy, it was evident that even after 12 years of working this industry, her passion is still vivid. "There are so many stages I want to be on. Big festivals that everyone dreams of like UMF, World Club Dome and Tomorrow Land. I really want to just enjoy being on many stages," Kim tells us. There is no doubt that her biggest passion at the moment is DJ-ing. Her eyes were glimmering whenever she mentioned her recent collaborations. Her latest single Punk Right Now has multiple remixes published on her Spotify. Along with her new solo career on the rise, she expressed her affection for the music she’s done as with Girls Generation. "There were so many good songs. I like our debut song "Into the New World" the most. And if we all reunite, of course we can perform again!" she says, answering one of the most burning questions all fans have been wanting to ask. She might be a charismatic star who has been on stage for more than 10 years, but Kim was still a bit shy in revealing one of her guilty pleasures. “When I’m on a diet to keep in shape for work, I sometimes eat Ramen at night,”she confesses. Kim, in general, is much more relatable that you might expect. Do you have a certain SNS or camera app that you are into these days? I’m really into an app called Tiktok these days, which I use to make videos where I can speed up my moves or features and also insert music. Each member of SNSD is doing their best in various fields. Do you guys support each other? When one of us has agigor movie shooting, most of the time we’ll go there to support her. If we can’t go or we are abroad, we support her by texting in our group chat. Yes, since we are not always together like we used to, we miss each other a lot. We recently were talking about going on a trip all together. We are trying to fix a date! Your solo music style is quite different from what you’ve done with Girls Generation. What do you think about the music you did before? I would say we were doing what was right for our age. Looking back now, all our music was appropriate for the moment and we did have some incredible performances. Other than DJing, do you have something else you wish to try in the future? Recently I wanted to get better at skiing and also trying scuba diving. Now that you’re in your 30s in Korean culture, has your ideal type of person changed? I’ve never really thought about it. But I used to like someone who dances well and has a good style. However, now I care more about the character. How well we can communicate and have a conversation and how mature they are. Yes, character! Are there any childhood items that you still keep? Childhood items that I still have… Personally I treasure my leather jackets and some of them don’t even fit me. But I really can’t throw them away - I still keep those. Is there a special reason why you can’t throw them away? I want to fit into them again! Leather has an authentic vintage feel as it ages. You have inspired so many girls in fashion and style, but what inspires you? Inspiration… I like traveling, watching movies, visiting galleries and art exhibitions. But these days I get the most inspiration from walking around. Before I would read a lot of magazines or look up SNS for some ideas... This days it's mostly nature. What do you mean by nature. I love places with trees like many locations in Southeast Asia, where it’s full of green trees and flowers. I get vivid inspirations when I‘m there. You’ve already published a book on #HyoStyle. Do you have any plans to expand? If I get the chance, I would love to publish a sequel. However, I think I still need to collect more ideas on my own personal style. Which artist would you like to do a collaboration with as a DJ? Right now I’m working with a few artists and DJs that I’ve always wanted to do collaborations with . I did the song "Sober" with Ummet Ozcan and "Punk Right Now" with 3Lau. There are so many artists I would love to work with. But it's been great to collaborate with amazing one for the remixes of "Punk Right Now."